We hit the road a bit late, 7:30 am because we slept in till 6. For the second day in a row we got our first 60 km in before the rain started. Yes this is our forth day with wet shoes! The good news of the day, we had a tail wind for most of the day. That really helped because the rain was heavy for the rest of the day. The land scape was rolling hills, steams, rocks and woods. Not that we spent much time sight seeing. 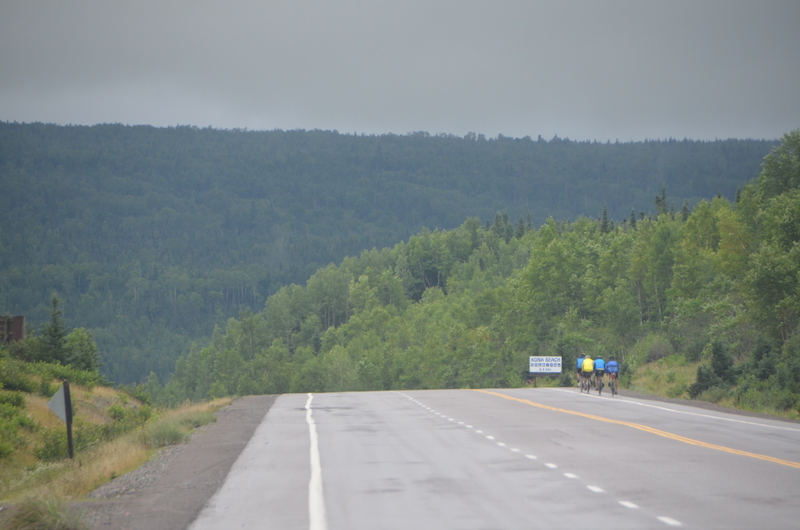 The temperature was around 15 degrees, so with the rain and wind we were chilled any time we stopped cycling. 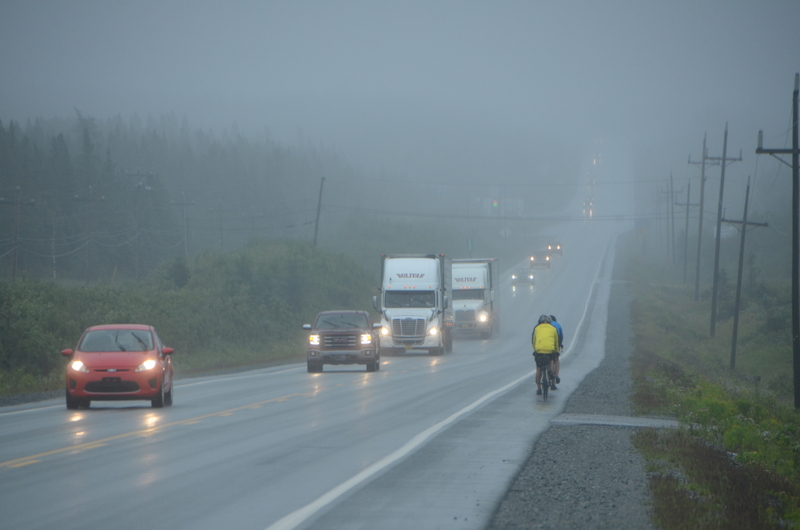 The rain, wind and spray from traffic made the day very challenging. We had to keep reminding ourselves, “This is hard but not as hard as it would be if we had to watch our children die because of a water related disease.” That gave perspective and motivate all of us to keep going. 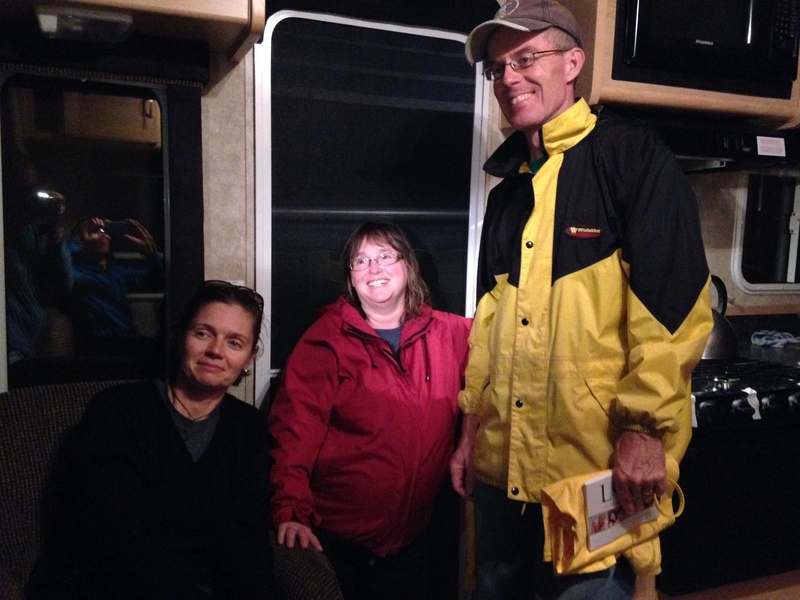 We arrived in Gander at 6 pm. This picture was taken at the request of the local news paper. We did an interview with them just before dinner. Our hosts Shawna and Robert got us all set up at their church, Evangel Pentecostal. They even did our laundry for us. Thank you Shawna and Robert! It is hard to believe we only have two more days before we arrive in St. Johns. 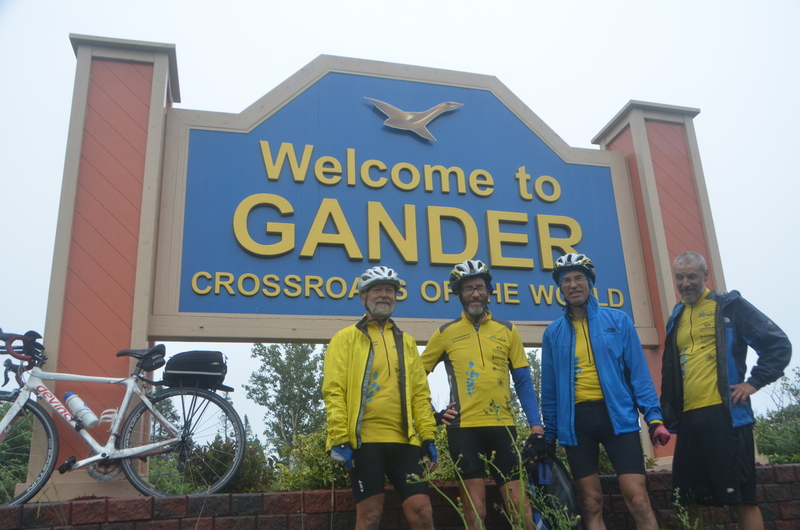 Our host told us we will have a challenging ride between Gander and St. Johns. We were hoping for all downhill! Real proud of you guys! May the Lord strenghten you and grant you success as you seek for means to rescue lives in African. Recently last week in Cameroon, 89 cases of chorela , 10 recorded deaths in the northern region of Cameroon.